Crisp white shirt with rolled up sleeves. with a cotton waist coat. 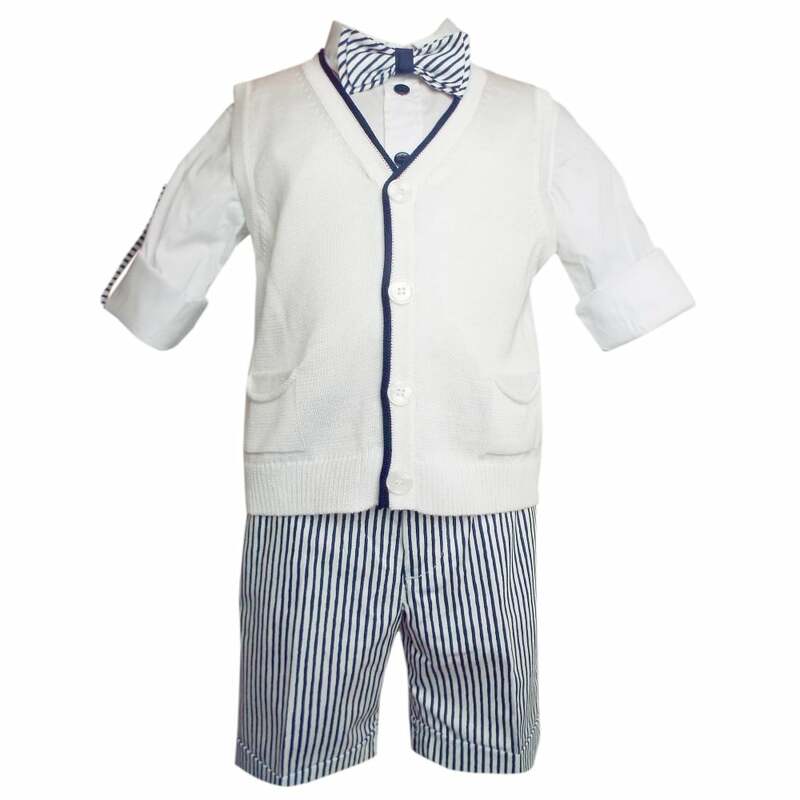 The shorts white and black stripes with an adjustable waist. 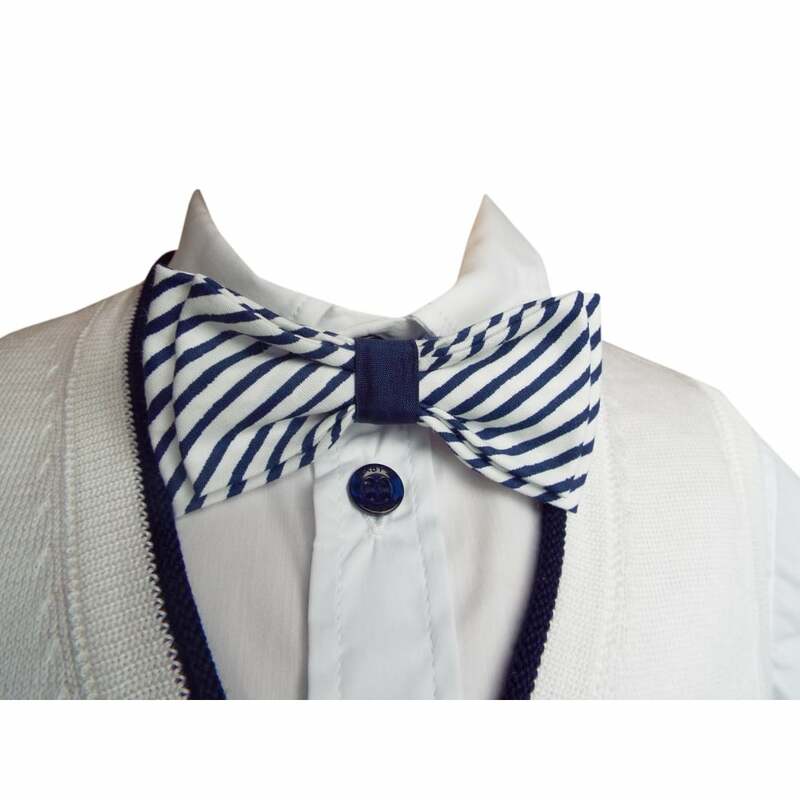 Comes with a black and white striped dicky bow .Perfect for a summer wedding.